Join us for a Milano Green cocktail at Stand Up NY Wed July 18! Join us for a Milano Green cocktail at Stand Up NY Wed July 18! Tomorrow night, ProTexting.com will be making a viral video with Wali Collins at Stand Up NY Comedy Club on the upper west side. Complimentary cocktails will be provided by Milano Green Vodka. Until recently, I didn’t even know there was Italian Vodka. 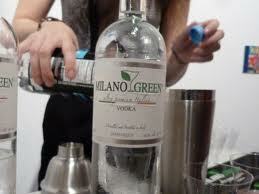 Once you go green with Milano Green Italian Vodka, there is no turning back. Made from pure Alpine water and golden wheat from the northern Italian plains, this vodka is ultra green (sustainable) and truly exceptional. Distilled to perfection, Milano Green Vodka is crafted and cared for by Italian viticulturists and distillers who have over 175 years of experience. It is made from high quality wheat grown in the glacier fed northern plains of Italy. The pristine water used in the making of this vodka is from a rare and unspoiled source in the Italian Alps, extracted 4500 ft above sea level. As a company, Milano Green Vodka is as passionate about making high quality vodka as they are respectful of the environment. The company is committed to exploring best environmental practices in the way that they produce, package and promote their brand. Immerse yourself in la dolce vita and the seductive smoothness of this Italian Vodka. 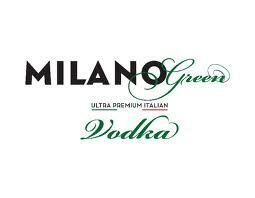 Ultra Green, Premium Italian vodka. Join us for a Milano Green cocktail at Stand Up NY for a one of a kind stand up routine and viral video production with the very funny Wali Collins tomorrow night Wed, July 18th (5 to 7pm) live in NYC at StandUp NY 236 West 78th New York, NY 10024 (212-595-0850). You must RSVP info@protexting.com. –Kalin J.